Our professionals specializing in affordable cleaning carpets, area rugs and upholstery to keep them looking great and extend their usable life. 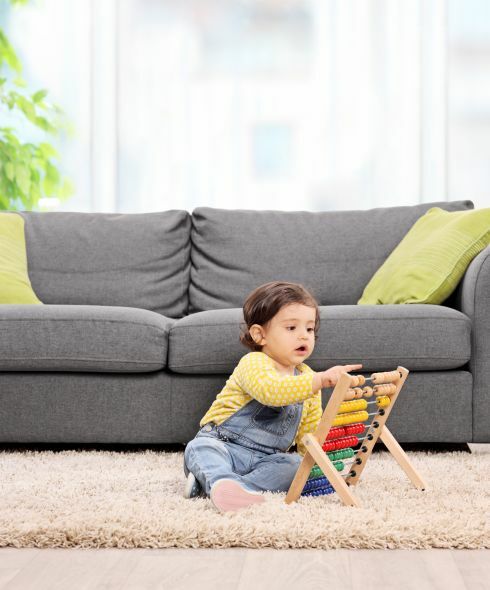 Keeping your carpets and area rugs looking their best can be hard to do, especially in a busy home with kids and pets. Regular cleanings can even miss some dirt; that soil increases over time and makes your floor coverings appear dull. Protect your area rugs with H&H Carpets’ carpet and area rug cleaning service. We provide the best and most affordable service to homeowners in the Warner Robins, Macon, Perry and Byron areas. You can save money by caring for your carpets and area rugs properly, instead of having to replace them every year or so. Each area rug that you have cleaned receives special care. H&H Carpets’ area rug cleaning service is quick and efficient. You will enjoy your home more and save money too by avoiding costly replacements. Furthermore, keeping your carpets and area rugs clean is important for the beauty of your home and the health of your family. H&H Carpets also provides very effective upholstery cleaning as well. Odors and stains can make your furniture look, feel and even smell unpleasant. Many residents of Warner Robins, Macon, Perry, and Byron have discovered that H&H Carpets offers very effective upholstery cleaning services at low rates! If your home furniture pieces need cleaning, we can help by removing odors, pet contamination, stains and preventing color fading. H&H Carpets’ upholstery cleaning can remove years of dirt and grime from furniture, drapes, curtains and more in just a few simple steps. If you want to refresh your home, request professional carpet, area rug or upholstery cleaning services from H&H Carpets! We offer affordable rates and fast service in Warner Robins, Macon, Perry and Byron. Great results are guaranteed every time! Call (478) 922-7747 to talk to an expert or for a quote today, or visit us at our showroom located at 1251 Watson Boulevard, Warner Robins, GA 31093.